Easie Peasie Co: Fabulous Friday Finds: My 100th Post…. Fabulous Friday Finds: My 100th Post…. Hmmmm…..I noticed yesterday that TODAY’S post would be my 100th post. That’s craziness to me. My oh my how things have changed since that first post…and I’m proud of those changes. Little Easie Peasie has grown and evolved into something I enjoy and am proud of. I hope I continue to grow and am looking forward to the many adventures of the future! 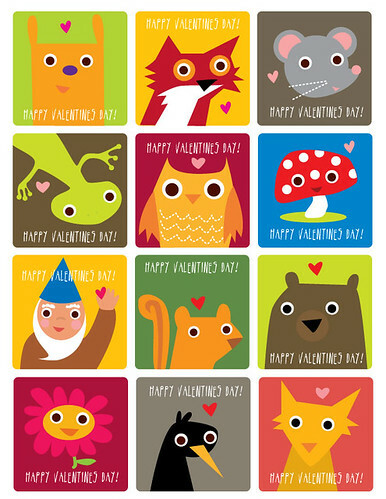 To celebrate…how about a few cute Valentine printables!! Are you looking for last minute Valentine ideas? Here are a few DARLIN’ Valentine printables I have seen lately in blog land…..
Or perhaps you would like to use your own photo to create custom Valentine cards….these are SUPER DUPER CUTE! The SUN is officially out in my neck of the woods of Texas…and it might get over 30 degrees today! Yipeeeeeee! My fabulous and talented friend Keri of …. is in L.A. ….as I write this…. shopping at fabulous L.A. vintage stores and thrift shops! How awesome is that? She has an amazing boutique with unique and gorgeous fashion items. 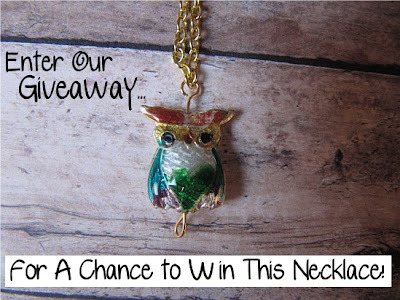 She’s currently giving away this FABULOUS necklace…. ♥Please swing by her blog and become a FOLLOWER by clicking HERE! ♥Visit her boutique and enter the giveaway by clicking HERE! I hope everyone has a SUPER SWELL…and WARM weekend! WOWeee Tiffany! This is the bestest thing anyone has done for me! You are so sweet for featuring my blog and shop =) It's an amazing feeling to know that I have support from my amazing, talented and beautiful friends!! I feel the love! !